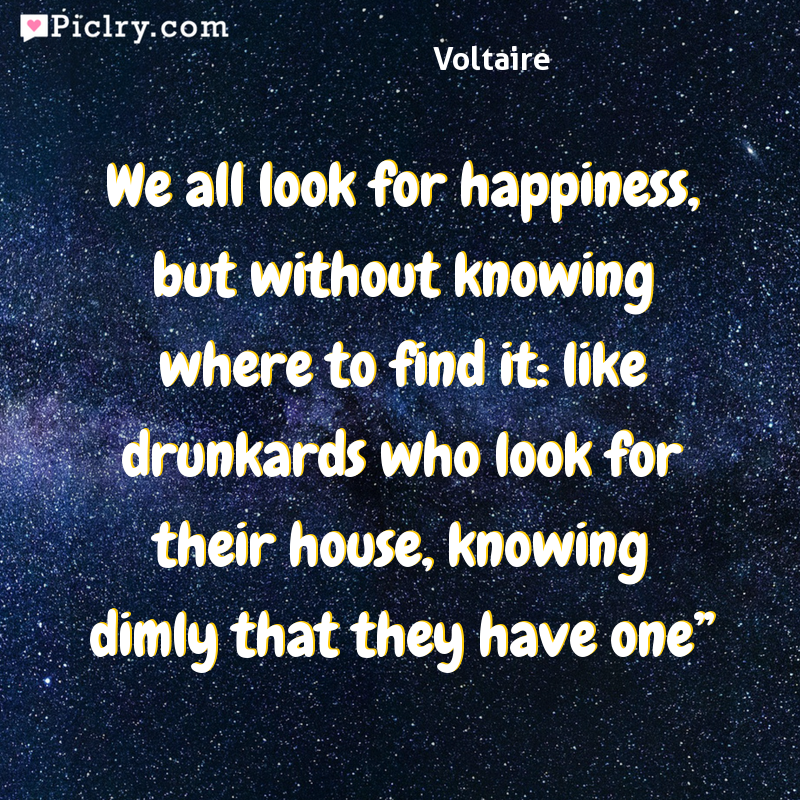 Meaning of We all look for happiness, but without knowing where to find it: like drunkards who look for their house, knowing dimly that they have one Quote by Voltaire. God is peace, bliss, beauty and truth. Focus your energy on that, life will be like that.